When I was a head teacher, I tried my hardest to be careful with public pronouncements. As a deputy head, I’d been the recipient of very wise words from the head teacher I worked with, who warned me never to say anything I hadn’t thought about really carefully, that I hadn’t checked for veracity and that I was sure wouldn’t come back to cause injury to my rear end. Mind you, coming from the woman whose first words to an Ofsted registered inspector included the fact that we’d found rats on school site at the beginning of the summer term, you’ll see how nerves can sometimes get the better of even the most excellent of leaders. And so, riding on the back of Olympic fever, the nation gripped by what will be an extremely temporary enthusiasm for sporting activity – and we should take note that the enthusiasm is mostly aimed at getting children to do more sport, not the adults who are getting all enthusiastic about it – the latest egg-on-face incident for the Tories flung itself in front of me, shouting ‘Take me, take me!’ A week that began with Cameron et al trashing state schools on the basis of an alleged deficit production of Olympians, coupled with accusations in the media that Labour flogged off school playing fields, turned and flipped like Beth Tweddle on the uneven bars into embarrassment as it was revealed that Gove had approved the selling of more than twenty school playing fields. Let’s just examine this story for a few moments. 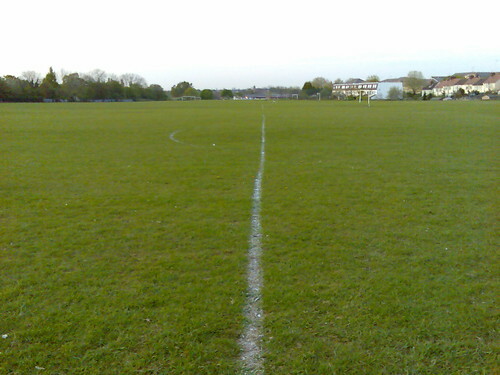 Initially, in response to a Freedom of Information Act request, Gove’s office said that since May 2010 he had approved the selling of 21 school playing fields. I don’t know about you, but given the lofty pedestal from which Gove and his pals have castigated Labour for approving such sales, you’d expect the figure to be precisely none, wouldn’t you? Not a single field sold off, all fields kept – even if the school were to be closed – for the benefit of the community and our nation’s health, Olympic legacy, blah blah. It subsequently, emerged, however, that the figure of 21 was, well, wrong. The figure is at least 30% higher and Michael ‘Not my fault, not never’ Gove, in a move so noble it brings a tear to the eye, swiftly blamed his staff for getting the numbers wrong. Worse than this, though, is the news that Gove ignored the stated opposition of the ‘School Playing Fields Advisory Panel’ five times in the past 15 months, approving the sell-off of school fields despite their advice to the contrary. At least one of these schools is converting to academy status and is using the money generated by the sale of the fields for refurbishment. Of even greater concern, therefore, is the fact of the stampede by Gove to convert all schools to academy status, since such schools are exempt from guidance that applies to other schools. To me, this is another classic example of the doublespeak that emerges from this government on a regular basis. On the one hand, ‘children must do more sport, it’s crucial that they do more at school’; on the other, one of the first things Gove broke his neck to do when he assumed the office of secretary of state for education was to remove the target – previously set by Labour – that the curriculum must provide at least two hours of PE and sport for all children. Similarly, according to the Tories, Labour were evil supporters of obesity by approving the selling of some school playing fields; Gove approved 30 in his first two years in office, even blatantly ignoring the advice of a panel of experts on the matter. And I don’t care about the working of figures to demonstrate that, on average, Labour approved the selling of more fields – if you declare that such sales are wrong, the only acceptable figure for you is none. I suppose his thinking is that the governing bodies of free schools and academies, who can do exactly what they like and may metaphorically (or actually, I suppose) make a bonfire of the national curriculum documents and dance around it singing ‘fatty days are here again’, will ‘ensure’ that children are somehow or other provided with the regular sport that is believed to be so important. On the other hand, so enamoured is Gove with ‘traditional’ school subjects that he secretly doesn’t really give a monkey’s about sport; unfortunately, teaching Latin is all very well, but ‘mens sana in corpore lardy’ is likely to be the result. Actually, I’m pretty sure that’s the motto I saw on the crest of one of the new free schools. Now, I can imagine that some of you are thinking that this was a bad enough week for Gove and Cameron and that I can’t possibly have anything else with which to show them up something rotten. You’ve guessed, though, haven’t you? Yep, there’s actually more to come. It emerged also that Michael ‘Believing myself to be a god, I shall now marry my horse’ Gove has also removed the existing protections which detail very strict allocations of outdoor space per pupil in each state school, leading to increasing fears that as there will no longer be a basis for rejecting applications, even more school playing fields will be turned into housing or industrial estates. Do I think this action is in any way connected with his drive to open many more free schools and academies? I think the answer to that concerns the location of bears’ toileting arrangements. As examples of the worst kind of political hypocrisy, you’d have to look long and hard to find a greater number on the same topic in so short a time, wouldn’t you? Just before the Olympic Games in London and in the face of calls for there to be a legacy from the games which encourages far greater participation in sports by children, Gove removes the rules governing allocations of playing space for schools. I find myself jumping to the only conclusion possible about this sorry affair. With apologies to Jessie J, it is about the ‘money, money, money’ and we should blame it on ‘the price tag’, because that’s all that matters to Gove and his ilk – no matter what they try and claim to the contrary.